Solution, from supply to setup & removal of scaffold. 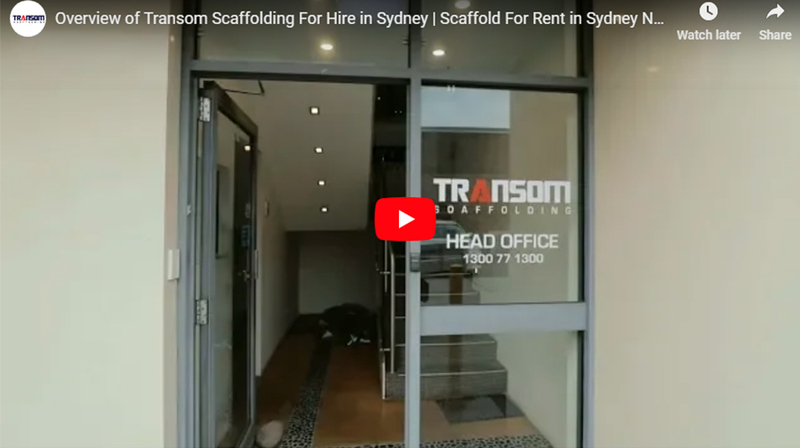 Transom the Leader in Scaffolding in Sydney. No job is too small or big for us as scaffolding contractors. We are happy to serve your scaffolding requirements for any industrial or home renovation purposes. 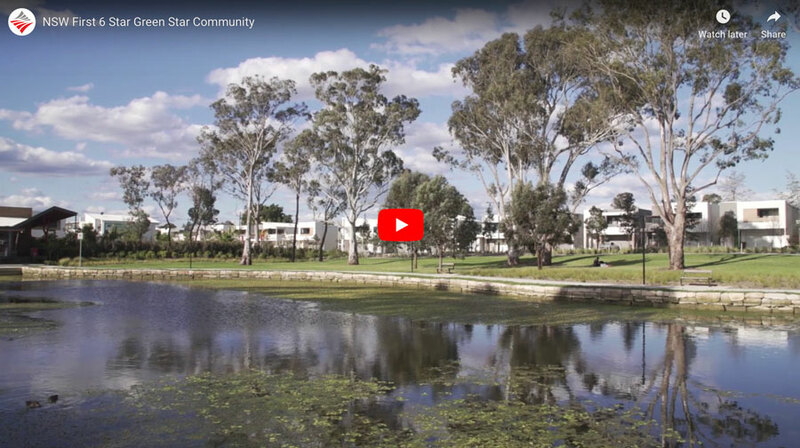 Larger jobs such as multi-residential developments including townhouses, unit blocks and apartments for builders or owner builders are all part of our service offering. We can also assist with steeply sloping or narrow sites. Safe, efficient and adjustable scaffolding is essential for an optimal functioning commercial site. 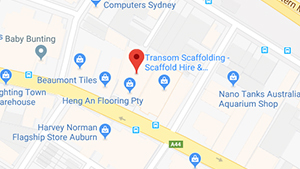 Transom can assist with your retail developments, office blocks, restaurants and cafes, government buildings, schools, and factories. We will work with you to help achieve your deadlines and budgets while providing a scaffolding system that will keep your trades comfortable and productive. High rise construction calls for high focus on compliance. Transom Scaffolding are committed to delivering service levels beyond expectation. We are experienced in working on high value projects and know what it takes to stay on task with OH&S regulations. You can count on our fully galvanised heavy duty equipment which undergoes routine inspection to keep. Transom Scaffolding are the specialists in providing domestic, commercial and high-rise scaffolding solutions. 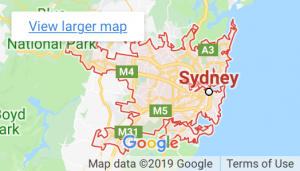 A privately-owned Australian company, we are proud to be the name behind many of Sydney’s construction projects, small and large. Our clients receive a full delivery, pickup, erection, dismantling of the Scaffold, with everything done from our expert Scaffolders. We are committed to OH&S regulations for the safety of our clients, the public, and our team. We cover all types of Basic scaffolding from modular or prefabricated scaffolds, cantilevered materials hoists with the max load weight of 500KG. There are ropes, safe brackets, gin wheels, fall arrest systems which include safety nets and static lines. Bracket scaffolds (tank and formwork) and much more. There are many types of Intermediate scaffolding that we cover from cantilevered crane loading platforms, cantilevered scaffolds, spur scaffolds. There are also barrow ramps and sloping platforms that we do! We also do scaffolding associated with perimeter safety screens and shutters, mast climbing work platforms. We also do tube and coupler scaffolds including tube and coupler covered ways and gantries. cantilevered hoists, hung scaffolds including scaffolds hung from tubes, wire ropes or chains, and suspended scaffolds. Ladder beams, Narrow bridge walk ways, Bird Cages and much more sites that require highly advanced scaffolding solutions to site operations. Everything we do is aimed at maintaining safe, instant, lightweight and affordable scaffolding fittings, creating a safe work site and preventing hazards to all involved. We are fully insured and licensed and at all times, we are 100% respectful of OH&S considerations. We only use our own equipment, components, and accessories for the work with our own workforce. We apply safety techniques to all our job sites. The result is that we can keep our prices down. Additionally, our aims to devise cost-effective methods that never cut corners. By providing you with top quality services backed up by decades of industry experience, we can help you access any construction site with difficult without any hindrance. We have different sizes & types of the scaffold from aluminium and steel! When you outsource your entire scaffolding requirement to us, we make it our business to work tidily, promptly and efficiently so that proceeding through various stages becomes easy with benefits.